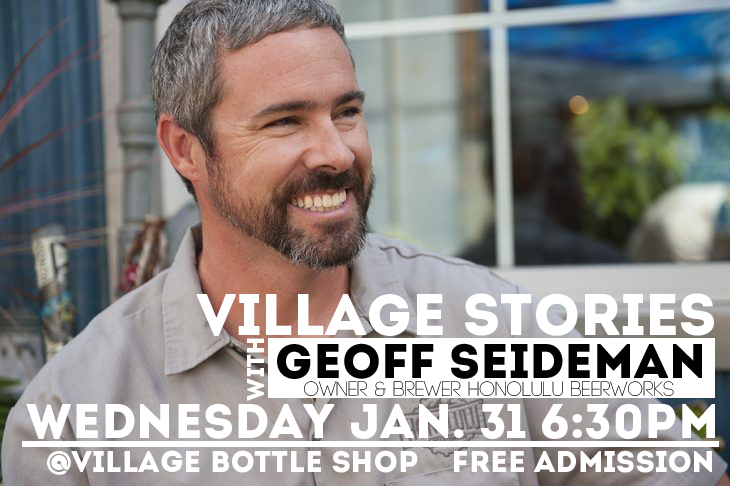 Join Honolulu Beerworks owner Geoff Seideman for Village Stories, a series of talks focused on Hawaii's Craft Brewing movers and shakers. Each Village Stories will be hosted by Village Bottle Shop & Tasting Room co-owner Tim Golden. At the end of the story session the mic will be opened up to audience questions.